The Troy Record covered NYSHA’s April 21, 2015, Investigating Animal Cruelty Workshop at the New York State Police Academy in Albany, NY. Read the article online. 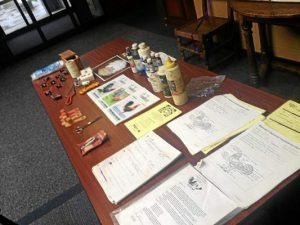 Information and evidence on cockfighting rings presented during animal cruelty training at police headquarters in Albany.